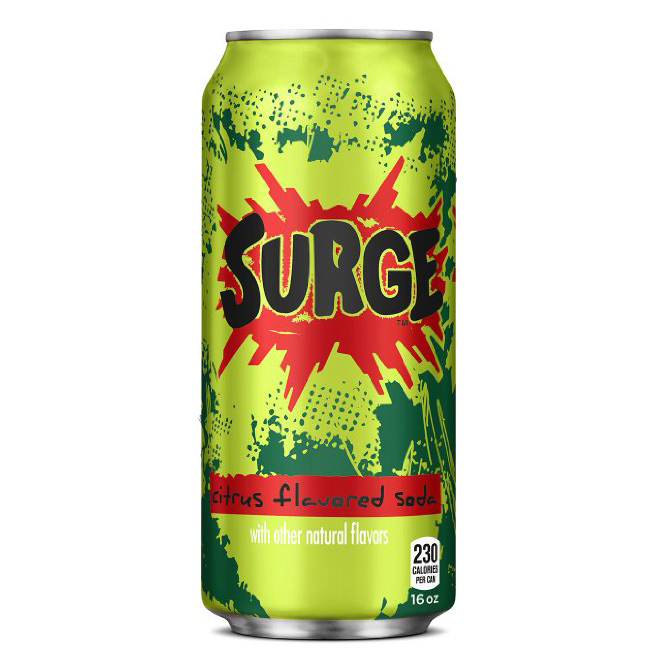 In many ways, Surge’s biggest claim to fame has been its ability to maintain a cult following despite being discontinued. It was never incredibly popular, thus explaining why Coca-Cola stopped making it back in 2003. And it was far from original, invented essentially as a Mountain Dew rip-off (though you can place me firmly in the “Surge tastes better” camp). So now that Surge is back, the soda brand may be faced with its biggest challenge ever: Will people continue to yearn for Surge if they’re actually able to easily buy it? Thanks to over a decade of groundswell, primarily on social media like Facebook, Surge fans convinced Coca-Cola to rerelease the citrus soda last year—allowing people to buy cases of the beverage exclusively through Amazon. When the initial batch sold out in under 90 minutes, Coca-Cola must have realized they had a potential winner on their hands and began test marketing the soda on actual store shelves. Apparently, this is not a test. Surge is really back—marking the first time Coca-Cola has relaunched a discontinued brand in its 129-year history. The original Surge lasted for a mere six (or so) years of that history. It’ll be interesting to see if it can do better its second time around. Worst-case scenario, if Surge is once again given the boot, maybe Coca-Cola will try for a second time to replace it with delicious Vault. Now that was a soda!